New Delhi: In a recently held meeting the Health Secretary, Shri C K Mishra has emphasised upon the need for innovative approaches to make the facilities at the peripheries work to avoid crowding of tertiary care facilities which impacts the quality of healthcare. 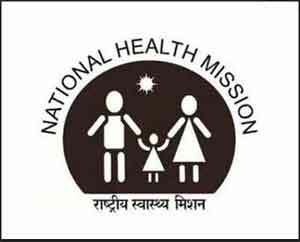 He was chairing the National Review of the National Health Mission here recently. The national review meeting was attended by State Health Secretaries and NHM Mission Directors from all States/UTs. Issues on the agenda included reduction of MMR, IMR, improving immunization and uptake of family planning measures in selected States /UTs, roll out of recent initiatives such as, strengthening sub Centres as Health and Wellness Centres, screening for NCDs, progress in TB elimination, status of preparedness for swine flu, addressing HR challenges, DBT payments, digital payments, rare diseases etc. Issues on the agenda included reduction of MMR, IMR, improving immunization and uptake of family planning measures in selected States /UTs, roll out of recent initiatives such as, strengthening sub Centres as Health and Wellness Centres, screening for NCDs, progress in TB elimination, status of preparedness for swine flu, addressing HR challenges, DBT payments, digital payments, rare diseases etc. The Health Secretary asked the States/UTs to take a critical look at problem areas at all layers and resolve them through innovative approaches and new ideas. He stated that NHM provides unparalleled flexibilities to address healthcare challenges specific to State context and needs. While there has been a considerable improvement as reflected in the accelerated decline of MMR, U5MR, TFR and reversing the incidence of diseases such as TB, HIV, AIDS and Malaria, areas such as NCD prevention and control requires a better response, he stated. The disease burden on account of NCDs is increasing resulting in a substantial economic loss for families and the nation as a whole, he said. He emphasised on strengthening health systems, particularly making SNCUs, FRUs and NBCCs functional with requisite HR and equipment backed by the trained team for provisioning of quality services. States were urged to focus on labour room protocols for intra partum care, carry out 100% Maternal Death Audit for an understanding cause of maternal death and monitoring of inborn and out born deaths of sick newborns separately. Shri Mishra stressed that Mission Indradhanush is not a programme but a campaign towards increasing immunisation coverage. The states must focus on strengthening routine immunization. There is a gap in the initiation of early breast feeding which needs to be actively bridged through interventions/programmes such Mothers’ Absolute Affection-MAA. Complementary feeding and its quality are also issues that States need to address, he said. Shri Mishra urged the State to utilise the NHM flexibilities to devise new strategies and sharpen existing strategies for last mile approach. He exhorted States to start measuring service delivery and monitoring performance based on a set of deliverables with clear allocation of responsibilities and roles for incentivising and fixing accountability. He urged States to co-opt the private sector as an elimination of TB is not possible otherwise.